Beryl and I came to live in Rolleston over fifty years ago it was a cold and frosty November night we had just got married and we made Rolleston our home. Fifty years ago Rolleston was a small rural village with quite a few farms and lots of fields, we were very happy and had two children Penny and Trudy and as the children grew up so did the village. The farms slowly faded away along with the fields, but as the village has grown so has the community spirit. It’s good to see how all the various organizations work together with the result that Rolleston is a very happy village, if we look at the events that have taken place the village this year I am sure you will agree. I think that the Transport Festival was the best so far, and also the village gala was excellent this was due to the way all of the people in the village work together as a team. I would like to thank you all for working so hard to make Rolleston Village such a nice place to live. I would like to thank the Parish Council past and present for the hard work that they have put in, not forgetting our Parish Clerk Heidi whose help and advice is greatly appreciated. There are so many of you that have put in such a great deal of effort I just cannot name them all. The Spread Eagle Island has been completely redesigned by the Parish Council and the Civic Trust and with the help of many of the people of the village, and I think it is fitting tribute to all of you in the village, I would just like to see one year the Cedar tree lit up at Christmas with fairy lights it would look lovely, and we are looking forward to the Advent Festival in St Marys Church so with that festive thought in mind I would like to wish you all a very Happy Christmas and a prosperous new year. The External Auditor has now completed work on the 2012/13 Annual Return for the year ending on 31st March 2013. The External Auditor has confirmed that on the basis of their review the information contained in the annual return is in accordance with the Audit Commissions requirements and no matters have come to their attention giving cause for concern that relevant legislation and regulatory requirements have not been met. 1. Balances brought forward 33,621 24,171 Total balances and reserves at the beginning of the year as recorded in the council’s financial records. 2. (+) Annual Precept 43,450 43,450 Total amount of precept received in the year. 4. (-) Staff Costs 8,319 9,160 Total expenditure or payments made to and behalf of all council employees. Includes salaries and wages, PAYE and NI (employees and employers), pension contributions and related expenses. 5. (-) Loan interest/capital repayments Nil Nil Total expenditure or payments of capital and interest made during the year on the councils borrowings. 6. (-) Total other payments 57,512 60,068 Total expenditure or payments as recorded in the cash book minus staff costs and loan interest/capital repayments. 7. (=) Balances carried forward 24,171 34,166 Total balances and reserves at the end of the year. 8. Total cash Investments 24,171 34,166 The sum of all current and deposit bank accounts, cash holdings and investments held as at 31 March – to agree with bank reconciliation. 9. Total fixed assets and long term assets 46,000 127,774 The recorded book value at 31 March of all fixed assets owned by the council and any other long term assets e.g. loans to third parties. 10. Total borrowings Nil Nil The outstanding capital balance as at 31 March of all loans from third parties. A screening opinion has recently been submitted to ESBC by First City on behalf of SCC for the development of 26.8 hectares of land currently under agricultural tenancy. It is understood that the outline application will be for mixed use development including up to 500 dwellings, local centre providing up to 500sq metres of floor space (use class A1) or public house, specialist care housing up to 150 bed space, landscaping and associated highways works including the provision of access junctions to the A511 Tutbury Road and Rolleston Road with realignment of Harehedge lane. Dog fouling is a major concern to many people. 95% of the British population are worried about the amount of dog fouling, not just because of the mess it causes but because it can also be linked to health risks including 'toxocara canis'. Roundworm eggs are found in dog mess, which can easily be picked up by young children. This causes stomach upsets, sore throats, asthma and in rare cases blindness. We recognise that most dog owners are responsible and clean up after their pets, but small minorities continue to cause problems. Please report known offenders to ESBC Community & Civil Enforcement Team 01283 508526 or 508856. The Parish Council would like to convey a sincere thank you to everybody who has participated in the NHD plan process in the last two years. During this time, the Steering group have contributed thousands of voluntary hours into seeing the plan through to referendum. In addition thanks is also conveyed to everybody in the village who has taken the time to respond to the questionnaire, attend the public consultation sessions and to respond to both the pre submission consultation and ESBC formal consultation. The college fields planning application was due to be considered at the September planning committee meeting, but was deferred due to outstanding highways issues. The application was then added to the planning committee agenda for consideration at the October meeting. A site visit was carried out by the planning committee on the morning of Monday 21st October who were met with a silent protest held by over 100 local residents. A similar amount of people then met at the Town Hall to listen to the committee debate and determine the application. It was at this time, that the Chairman of the committee proposed and it was subsequently moved that the determination of the application should be deferred to the November planning committee meeting. An application has been submitted to the Rt. Hon Eric Pickles asking that the determination of the planning application for the College Fields is “Called in”. The Parish Councils application was accompanied with letters of support from NHD plan steering group, County Councillor Bob Fraser, College Fields Action Group, Village Action Group, Chris Bowden Navigus Planning and Andrew Griffiths, MP. An Independent Examiner has reviewed the NHD plan and subject to some minor modifications, has recommended that ESBC proceed with the referendum. A formal request has now been submitted to the Borough Council asking that they make the proposed modifications and arrange for a referendum to be held ASAP. Whilst still very much at the forefront of the Parish Council’s minds, and still a recurring item on the agenda, no further communications have been received from SCC with regards to their “aspirations” to develop the land along Knowles Hill and Anslow Lane. Both the threat and the reality of large scale developments within the village and surrounding areas still remains at the forefront of many people’s minds with the College Fields Planning Application due to be determined on 27th August and most recently with the news that Staffordshire County Council have “aspirations” to develop farm land off Knowles Hill and Anslow Lane. Staffordshire County Council has recently advised that they have aspirations to develop to develop land off Knowles Hill/Anslow Lane. The land in question covers an area of approximately 10.7 ha / 26.4 acres. This is despite a statement made in December 2011 by Councillor Atkins, Leader of SCC and Councillor Winnington Portfolio holder for Economy and Infrastructure, SCC in which they state they are not selling County Farms. The clerk has written to SCC outlining that the Parish Council are against the principle of any development of SCC land along Knowles Hill/Anslow Lane. County Councillor Fraser and Andrew Griffiths, MP have been copied into the correspondence. In addition the Parish Council have written to Andrew Griffiths, MP and asked him to support the village’s objections to the proposals. Please bear in mind that these objections will not be carried forward to the formal planning process. Should a planning application be submitted, you will need to raise your objections again with East Staffordshire Borough Council. Planning Applications are submitted to the Local Authority for determination. Once the Local Authority has accepted the application, there is a 21 day consultation period in which you must register your objections to the application. The Local Authority is not obliged to consider comments that are received out of this period. A list of planning applications that have been registered for the Borough are available to view on a weekly basis. Anyone can send in representations on Planning Applications – it doesn’t matter whether you have received a letter from ESBC, seen the application advertised by way of a site notice or press notice, or seen the application on ESBC website, or just been told of an application by a neighbour. Your comments have to be made in writing, either by letter or by E-mail, (in the case of the latter your name and contact address must be included) and have to be received before the application is determined, either by officer (delegated powers) or by the Council’s Planning Applications Committee. You can find out the last date for receipt of comments and whether an application is likely to go to Committee by contacting the relevant planning officer. The NHD Plan has now been submitted to East Staffordshire Borough Council who are responsible for undertaking the formal 6 week consultation. The consultation will commence on Tuesday 23rd July and end on Monday 4th September. A newsletter created by the Neighbourhood Development Plan Steering Group will have by now been delivered to every home in the village, outlining details of a proposed plan b. Pre Submission consultation on plan b will run from 29th July to 8th September. If the application to develop the college field is approved on 27th August it is then, and only then proposed to submit to ESBC, a revised version of our Neighbourhood Plan known as PLAN B. A Public Consultation event was held by First City on Monday 15th July to outline Staffordshire County Councils proposals to develop a residential development. The proposed development will include in the region of 500 new family homes, Local Centres including possible neighbourhood shop, public house or medical centre. It is likely that a planning application will be submitted in September. The Parish Council meets on the second Monday of every month, with meetings commencing at 7.30pm, Old Grammar School Rooms, Church Road. From time to time it is also necessary to meet on additional occasions. The Notice of Agenda is published three clear days prior to the meeting and can be found on both the village noticeboards and the village website. The Parish Council meeting commences with Public question time & presentation of petitions. • Ask a question about any matter on which the Parish Council has power. • Each question shall be directed to the Chairman of the meeting. • Present a petition to the Chairman of the meeting of at least ten signatures of local Government electors living within the Parish, about any question on which the Parish Council has power. The petitioner may speak for no more than two minutes. • The Chairman may answer orally, may undertake to provide a written reply within seven days or may decline to answer or defer discussion until the next meeting of the Parish Council. • Public Question Time shall be limited to fifteen minutes. East Staffordshire Borough Council when producing Policy NE1 in the last Local Plan ESBC declared that they did not want any coalescence of Anslow, Tutbury or Rolleston on Dove with Burton on Trent. Development of any sites between the villages would mean that this aspiration would not have been achieved. Now in his eighty-fifth year, Alan Partington, President of Rolleston CC, is celebrating 55 years of unbroken service to the club. Alan joined the club after moving from Manchester in 1956. There was then only one team which played in austere conditions on a rented ground where Alderbrook Close now stands. One year later he became treasurer, and the club’s development dates from his appointment. The first challenge was to find a new pitch after the ground was sold by the owner for housing. The present site was identified, but it was little more than marshland. Alan’s enthusiasm, financial acumen and engineering background were instrumental in developing the ground into what is now one of the best appointed grounds and playing surfaces in the DCCL. The land was drained and extended over the years, and a brick pavilion built to replace the original small wooden structure. A garage, score box and artificial practice surfaces followed, with money accrued through Alan’s expert stewardship of the club’s finances and with the practical help of members who were inspired by his dedication and energy. He served as treasurer for 37 years, but is still a very active committee member and, as president, certainly no mere figurehead for a club which now runs four Saturday teams and six junior sides. This update is provided in co-operation with Staffordshire County Council (SCC), East Staffordshire Borough Council (ESBC) and Severn Trent Water (STW). Actions described below have been carried out in partnership between these organisations. Following flooding in Rolleston on Dove a flood surgery was held on16 January in partnership with SCC, ESBC and STW. This meeting was attended by over 120 people and helped to identify some of the main concerns amongst residents. We held a follow up meeting on 06 March to identify actions and develop a plan to address the issues raised at the flood surgery. We will provide regular updates to Rolleston on Dove Parish Council. A sedimentation survey has commenced on the Rolleston Brook. This will identify the level of sediment in the channel and will be used to decide if the sediment should be removed. It is important to understand where the sediment has come from before removing it so that the problem does not persist, resulting in a significant maintenance cost for little reduction in flood risk. A number of blockages and debris have been removed downstream of the Brookhouse Hotel, this should improve the flow of the brook. It is important that we identify the owners of land around the village so that access can be gained for surveys, maintenance and to raise awareness with landowners of their responsibilities. Over 1050m of CCTV of surface water sewers has been carried out to identify the exact location and condition of sewers in the village. By May we expect to have a full understanding of the drainage capacity in the village, this will enable us to identify locations where capacity is limited and to assess the options for improvements. By using CCTV surveys the condition of the asset has been assessed along with the need for any maintenance such as silt removal or cleansing. A number of sewers, around 750m, have been cleansed and any ingress of roots removed to improve the drainage of surface water. These sewer lengths have also been added to our Planned Cleansing Schedule, to help maintain and encourage a free flow of the surface water system. This scheme will raise the level of existing protection at a number of locations on the River Dove. The raising of these existing defences does mean that there is a very small theoretical risk of increased flooding to a small number of properties in Rolleston on Dove during a severe flood incident. Whilst the theoretical increase in risk is very small we are identifying measures to manage it. We are working with the Lower Dove project team to identify how we can make best use of the available funds to reduce flood risk in Rolleston. We are always improving the accuracy of our telephone flood warning service so that residents can be given the maximum amount of time to prepare for flooding. We realise that the warning to residents living near the Rolleston Brook needs to be improved and this has been included in our study of thresholds (the level the river reaches before a warning is sent). Whilst working in the Rolleston Brook a member of staff is believed to have contracted leptospirosis. This is a bacterial infection which is passed from animals to humans; it is commonly caught when in contact with water/soil contaminated with urine from an animal carrying the leptospira bacteria. Residents are reminded to take care if they are involved in activities in and around the Rolleston brook and other such watercourses. Mrs Lesley Bayston: In September 2010 Mrs Bayston had the dream of setting up a U3A in Burton. This stands for University of the Third Age and is a worldwide organisation for retired people who want to learn new things and join interest groups. By April 2011 she and the temporary committee had organised the first meeting which was attended by around 150 people. Since then Burton U3A has grown into a thriving organisation with approximately 300 members of 30 interest groups. Members can learn things as diverse as Antiquarian History and Line Dancing, or learn to sing and even speak Latin. Thanks to Lesley’s energy and enthusiasm in setting up Burton U3A a great many people from the radius of approximately 10 miles have derived a great deal of pleasure from learning new things. Neighbourhood Development Plan Group: This group have met almost every 2 weeks since October 2011 and have contributed several thousand man hours during this period. As a result the group have produced a draft plan and very comprehensive Appendices showing how the various proposed Policies were produced. The whole process has not been a straight forward procedure with neighbourhood planning being such a new process there are no examples of other Plans to use as guidance and there is absolutely no guarantee that the end result will be accepted as it has to show general conformity with the Local Plan when there isn’t one. Delia Wyers: Delia has been the leader of the Guides and Brownies for many years and largely responsible for keeping those groups going. She organised the Guides until Guide Association age rules forced her to give up and there has been no successor. She is able to continue with the Brownies and her regular Rollestonian reports illustrate the broad range of activities that she maintains for them Delia is secretary to RoDSEC and the Village Gala Committee and she is highly committed to both. Overall, Delia has a strong interest in the village. The Parish Council will make an award “Rollestonian of the year” each year to a villager who in their opinion has served the community above and beyond that which could be considered normal or to a villager who has achieved exceptional heights in their particular field. (Sport, arts etc). 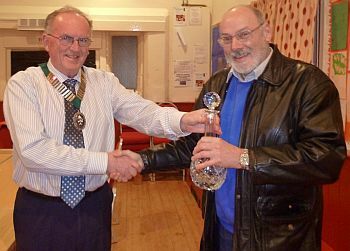 The award to be presented at the Annual Parish Meeting by the Chairman of the Parish Council, or in his absence the Vice-Chairman of the Parish Council. Nominations are to be sent to the Clerk of the Parish Council by 25th March 2013 and should include a brief note supporting the nomination. A nomination box will also be sited in Starbucks News for the duration of March. At the April Parish Council meeting on 8th April 2013 all Councillors will be given a voting paper listing all nominations. During part 2 of the meeting brief details of all nominations will be read out by the Clerk after which Councillors will vote for their top 3 nominations giving 3 points for their first choice, 2 points for their second choice and one point for their third choice. The nomination with the highest number of points will be given the award. In the event of a tie new voting papers will be issued and Councillors will vote again between the tied nominees giving one point to their first choice nominee. The nominee with the highest number of points will be given the award. In the event of another tie the Chairman of the meeting shall have a casting vote. For the purpose of this award any person living in Rolleston on Dove is considered to be a “Rollestonian”. 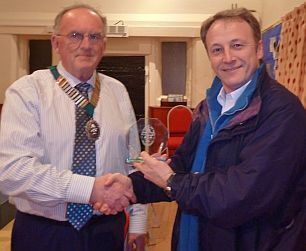 Serving Parish Councillors are not eligible for this award. The village has been subjected to an unprecedented amount of rain which has resulted in the village being flooded on several occasions during the past 12 months. This flooding has been the result of a number of different problems ranging from blocked ditches, blocked gullies, blocked drains, damaged land drainage systems etc. The Parish Council has been in touch with the Environment Agency, the County Council, the Borough Council and Persimmon Homes in various attempts to get some action in sorting out the problems and we are conscious that the flood alleviation works that are ongoing in Scropton and Hatton, when completed will have a negative impact in Rolleston. Recently the Environment Agency, the County Council and the Borough Council held a flood surgery in St Marys Church where they gathered a lot of information from over 100 villagers. They are now trying to understand why the roads flood as often as they do. The County Council have spent a week clearing gullies and drains and they have surveyed a number of drains with cameras so this action should help alleviate the problem. They have said they will contact us again when they examined all of the information. This information will be relayed to villagers in due course. East Staffordshire Borough Council is trying to arrange a meeting with Persimmon to discuss the flooding of Meadow View from their public open space. Refurbishment of Spread Eagle Island: £2,396.00. Replacement of Rotten posts, The Croft (Village Green): £2110.00. Provision for sand storage bins, sand, bags, flood warden equipment £1385.50. The Neighbourhood Development plan has now been submitted to ESBC and in turn will be examined by an independent Inspector. The Inspector will determine if the plan is in general conformity with ESBC’s Local Plan. If so, the plan will be presented to the Village and a referendum held. The plan outlines how the village is to take shape, development wise over the next 19 years. Please look out for your newsletter which will provide further details of the plan. We have had a sign made and erected at the end of the Jinny Nature Trail that gives details of what the station used to look like. There are a group of enthusiasts who are now trying to co-ordinate a working party to clear away the brambles etc. so that a meaningful assessment can be made on the condition of the existing brickwork. This clearing work has to be done before the birds start nesting in the spring. If you are interested in joining the working party, please contact me. As you can see, it has once again been a busy time for the Parish Council, dealing with a diverse range of issues. The Parish Council are currently two members short of a full compliment and it means we have to work harder than ever. If you are interested in becoming a Parish Councillor then please contact me. Annually members of the Parish Council walk all of the Public Footpaths in Rolleston so that it can be recorded that the footpaths are walked and so that any improvements can be proposed to SCC. The Footpath Walks will take place this year on Sunday 9th June and Sunday 23rd June, departing from Spread Eagle Island at 10am. Historically the walks have taken place in the evenings, but we hope that by moving the walks to a Sunday morning more families will be able to join us. We will also be issuing an “I Spy” quiz to be completed during the walks. The April Parish Council meeting will take place on Monday 8th April and The Annual Parish Meeting will take place on Monday 15th April commencing 7.30pm. The Annual Parish Council meeting will take place on Monday 13th May, commencing 7.30pm. This year’s Village Clean up Day will take place on Saturday 11th May, commencing at 9.30am. The meeting place will be the Spread Eagle Car Park and everyone is welcome to come along and help. It is recommended that you come in wellingtons and where possible bring your own tools and gloves. At the November Planning Applications Meeting held at ESBC, the committee approved the planning application for 21 dwellings on land off Meadow View. This was disappointing news to the Parish Council who had objected to the application and whom had also spoken publicly at the meeting, objecting to the plans. The planning application for the development of 100 dwellings on the College playing fields is still to be determined. We have set the council tax at last years level but this has now become complicated as East Staffs have reduced the tax base due to revised government funding but have then made up the shortfall by way of a government funded grant. The bottom line is that for the 2013/2014 financial year the council tax will not increase. On Monday 28th January the Chairman of Rolleston Parish Council made presentations to members who have stood down from the Parish Council within the last few months. The picture on the left shows Chairman Barry Edwards presenting a "Thank you" gift to Andrew Fitton after over 5 years of service; and another to John Morris having served over 21 years. Details on some of the projects that they have undertaken whilst on the Parish Council can be read below. At the August Parish Council meeting we bid farewell to Andrew Fitton who has stood down after 5 years on the Parish Council, with the past 3 years in the role of Vice Chair. During his time on the Parish Council Andrew was instrumental in getting the scheme to supply dog waste bag dispensers round the village. Andrew also worked with CPRE to try and help to protect the village from development and has represented the Parish Council at the ESBC Neighbourhood Forum meetings. Rolleston Scout Group with a number of grants, including making the vegetable garden, projector equipment. A Coach for the Brownies 100 years of Guiding celebration. John of Rolleston School garden, Rolleston Pre School with grants for furniture for the new building and for high Visibility jackets for when the children are out and about in the village. For the past 14 months, John has been Chairman of the Neighbourhood Development Plan Steering Group who have now produced a Neighbourhood Development Plan which will shape how development takes place in the village over the next 19 years. The pre submission consultation for the plan will commence on Monday 11th February for a period of 6 weeks. After this time, the plan will be submitted to ESBC for a further 6 week period of consultation. We must not forget that Parish Councillor’s commit their time on a voluntary basis for which is a difficult and sometimes thankless task. John’s knowledge and experience will be greatly missed. At the July Parish Council meeting, we said goodbye to Amee Johns who has served as a Youth Representative on the Parish Council for the last two years. Amee is now off to University and members of the Parish Council wish her every success with her continued studies and would like to convey their thanks for the contributions she has made to the Parish Council over the last two years. Amee has been presented with a £50.00 book token.